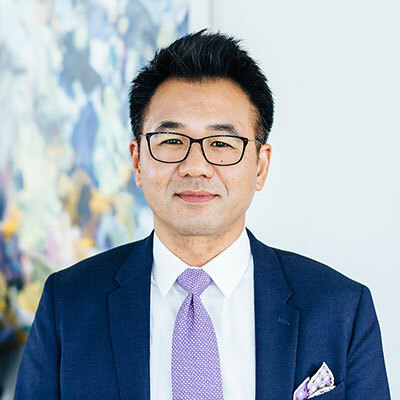 Marcus Lee, Sales Director at Climb Real Estate Group and Principal of the Montgomery + Lee Team, has been a highly-regarded real estate professional for 15 years. Marcus maintains a consistent record of delivering top results for his clients throughout the San Francisco Bay Area. As a San Francisco resident and native, he meets his clients’ needs with a powerful balance of local expertise, client advocacy, and valued industry relationships. Marcus believes that his word and unwavering commitment to the needs of his clients is paramount. He approaches every real estate transaction with the desire to exceed their expectations, delivering exceptional results. He operates with the utmost integrity, maintaining a transparent approach when advising his clients of the necessary elements needed for a successful purchase or sale. Marcus takes great pride in having had the opportunity to assist over 400 home buyers/sellers reach their real estate dreams, completing transactions worth over $500 million. The Asian Real Estate Association of America consistently ranks Marcus as one of the top real estate agents in the nation. He has worked diligently to cultivate strong business relationships with San Francisco’s top luxury condo developers, affording him the advantage of showing properties before they officially hit the market, which in turn, provides his clients with the best selection and pricing. Marcus is equally adept at locating single-family homes for discerning buyers who want more space than a condo can offer. As a result, in 2016, Marcus was the #12 agent in San Francisco in overall sales as well as the #2 agent in San Francisco condo sales. As a life-long San Francisco resident and property owner, Marcus has cultivated a comprehensive understanding of the local communities, San Francisco’s diverse neighborhoods, as well as the indigenous lifestyles inherent to each region. He is a businessperson who has held management roles in the technology and finance sectors. Marcus thrives under pressure and can work effectively, not just with buyers and sellers, but with attorneys and business managers who manage his clients’ investments. Marcus seeks to build a lifelong relationship with each of his clients, based on mutual respect and trust. He is fun, pleasant, and creative in his approach to marketing and sales, and his clients trust that he can fulfill their needs. When you work with Marcus Lee, you truly have a trusted advisor and advocate on your side.